We’d love your help. Let us know what’s wrong with this preview of Skate Boarding by Clive Gifford. 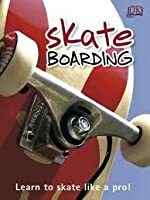 Skate Boarding: Learn to Skate Like a Pro! To ask other readers questions about Skate Boarding, please sign up. Squirt brought this home from the school library. It was a bit awkward to read, since it has step-by-step instructions for Ollies and Nollies and What Have You, but Squirt was hanging on every word, probably imagining himself doing every move. (I wonder what he dreamt those nights after I read this book to him.) I'm pretty sure we'll be re-reading this. Partner read with Carter about his new passion. 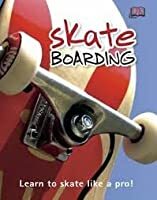 Skateboarding by Clive Gifford was an informational text that taught aspiring skateboarders how to do just that. It began with beginner steps. It informed the reader on safety and techniques to keep one from hurting themselves. It moved on to increasingly complicated tricks such as heel flips and ollies. If someone is looking to learns or is simply a skateboarding enthusiast this book would be a great introductory text. Skateboarding incorporated many elements of informational texts. 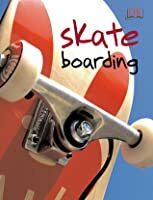 It has diagr Skateboarding by Clive Gifford was an informational text that taught aspiring skateboarders how to do just that. It began with beginner steps. It informed the reader on safety and techniques to keep one from hurting themselves. It moved on to increasingly complicated tricks such as heel flips and ollies. If someone is looking to learns or is simply a skateboarding enthusiast this book would be a great introductory text. 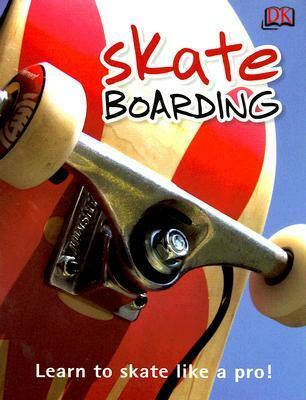 Skateboarding incorporated many elements of informational texts. It has diagrams to show the specific footing and movements of skateboarding moves. There are titles to inform the reader of the names of the tricks along with captions to explain what can’t be shown in pictures. Another very cool and educational aspect of this book were the bolded words. If the reader didn’t know one of the words, the author used they could look it up in the glossary in the back. Behind the glossary is an index where the reader can find the pages of specific terms if they are looking for a certain piece of the text. Awesome book for students who are interested in the topic. I can see this book being one the student would want to take home and use to try out. Has a lot of diagrams and new skateboarding tricks.